Apple Watch has some amazing features, and new technologies are added to it with the release of every new watchOS. The new watchOS four is launched with an awesome feature for your Apple Watches. It is Apple Watch flashlight which you can use in three different modes. It sounds great! For the first time, Apple has introduced flashlight feature in Apple Watch, and it is one of the most unusual features in Apple Watch. Now you can use Apple Watch as a flashlight in the dark without carrying an extra flashlight with you. Now you can easily open locks and doors in dark areas. If you are interested in this feature and want to know how to use this feature, we will tell you today. As mentioned above, Apple Watch flashlight has three different modes. All of these modes can be used in some specific circumstances. These modes include simple white light, flashing white light, and red light. If you know how to use these flashlight modes, you can use them whenever needed. 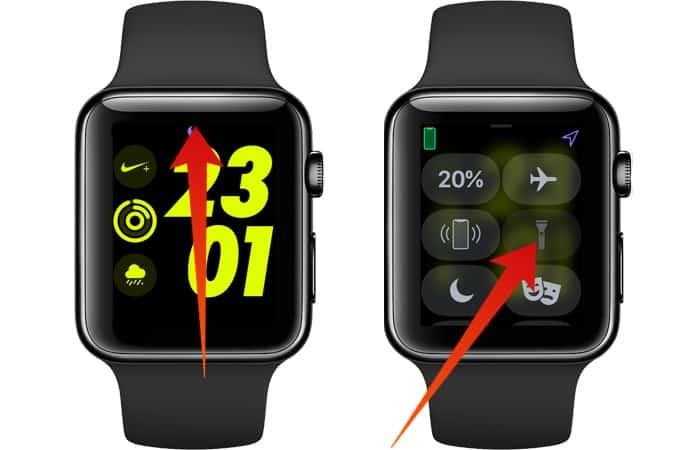 Here is how to use Apple Watch as a flashlight and the detail of all the three flashlight modes. 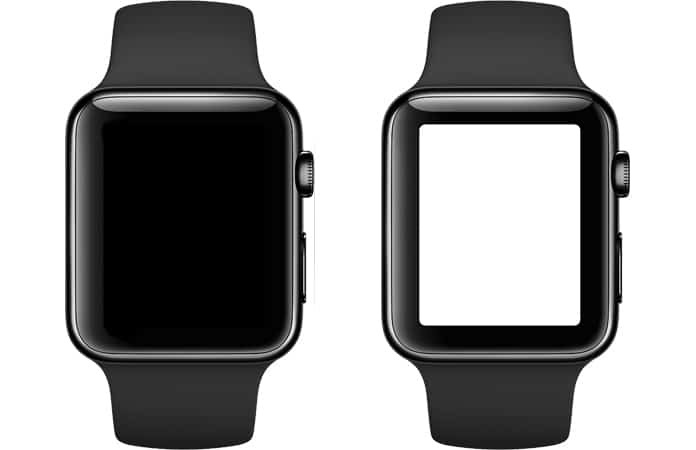 The simple white light mod is the standard mod with white light on the Watch screen. This is the causal mod of Apple Watch flashlight, and you can use it in lower lights. This mod is beneficial when you are going to look for some objects or keyholes in the dark. The second mod is flashing white light mod. This mod is the advanced version of the simple white light. In other words, in the flashing white light mod, the Watch screen is brighter than the standard white light mod. This mod is very beneficial while using the watch in outdoors. For example, you can use it while riding a bicycle or on a long run. 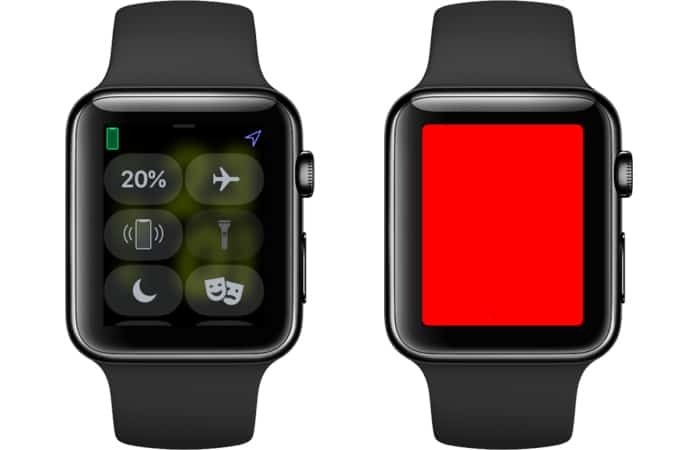 The last mod of Apple Watch flashlight is the red light. This mod is specially designed for some emergency situations. You can also use it to find something in the dark. You can wave your watch in the dark to draw someone’s attention. In this flashlight mod, the whole screen of the watch is glowing red. How to use Apple Watch flashlight modes? If you are looking for the complete process of using Apple Watch flashlight, here is how you can do it. 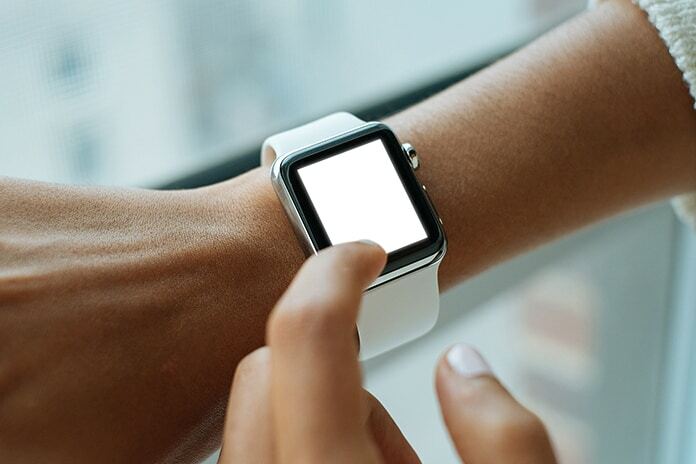 On your Apple Watch, swipe up from the bottom of the screen. Here you will see different options on the screen. Find and click on the flashlight icon. 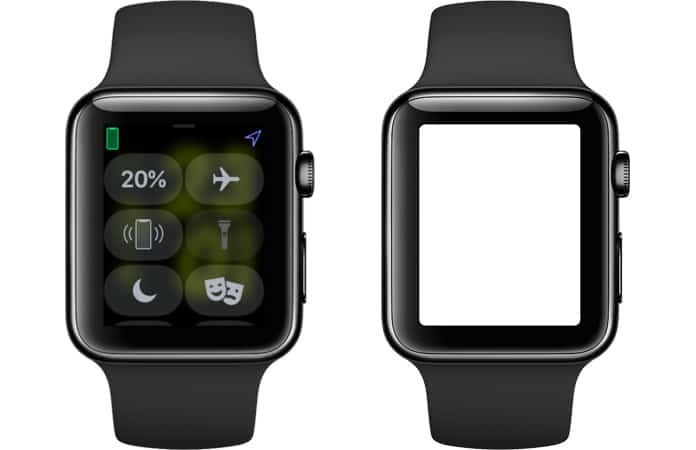 After clicking on the flashlight icon, your watch will be turned into a flashlight. This is how you can efficiently use the flashlight on your Apple Watch. The whole process is easy and just takes a few minutes. Now the question is how to change the modes of the flashlight on the watch. While the flashlight is on, swipe left to turn the mod to flashing white light. Now swipe left again to change the mod to red light. Now if you want to go back, swipe right to change the mode back to the white light. If you want to close the flashlight, swipe down from the top of the screen.